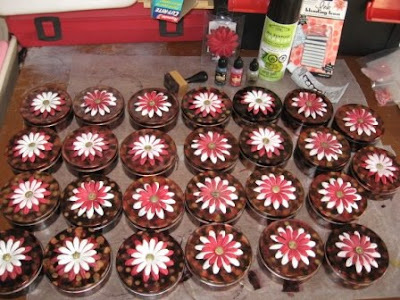 I was in a swap on Two Peas were we each made a small gift 25 times and exchange with others. We get back 25 different little gifts to open. I was day 12. 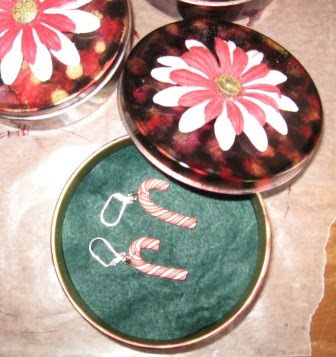 I made this altered candy tin with the candy cane earrings inside. I love seeing them all lined up and finished. 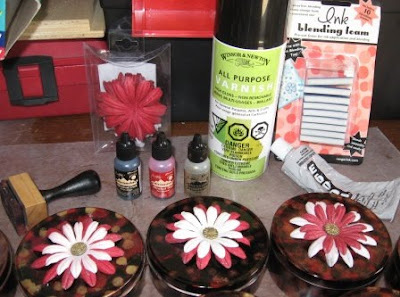 Here are some of the supplies I use: Ranger Alcohol Inks, sealer, glue for metal, paper flowers and metal brads. I love when I make a lot of the same things, I enjoy seeing them all together. I guess it gives a sence of accompishment. Hi Cathy!! How fun to find you in the Blogging world! I love the quilt you made for your hubby! 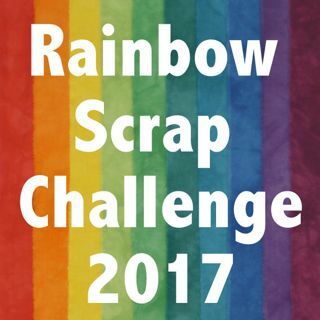 I have to do one for mine one of these days and my kids are all complaining because they don't have quilts, but my Grandbabies do! !